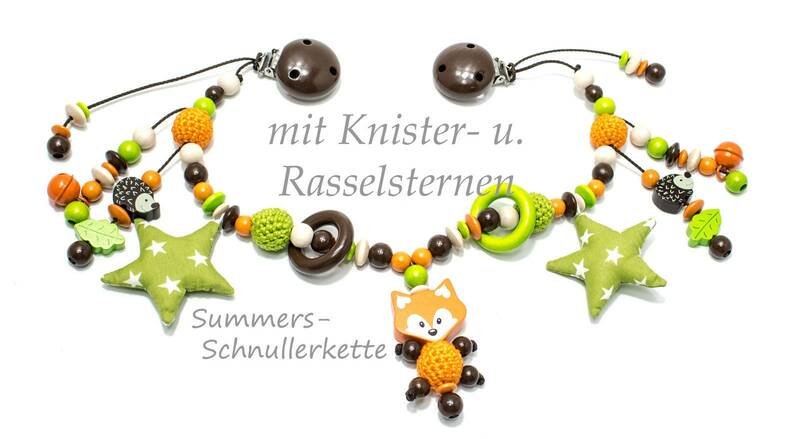 Enchanting stroller chain for your treasure, or also great for giving away, forest motifs. With Rattle star/Crackle star, hedgehog, bells, wooden rings, 3-D fox in the middle..... The chain is adjustable in length.